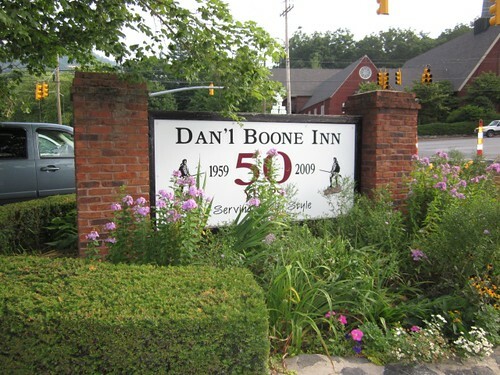 .A trip to Boone is never complete without eating a meal at the Dan’l Boone Inn. They serve their meals family style and have the best country ham biscuits that can be found anywhere. Not only is the food great, the entire atmosphere is inviting. 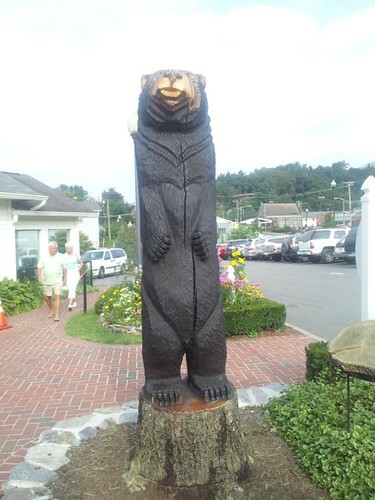 This bear along the walkway appears to have been carved on site from a tree in that same location. 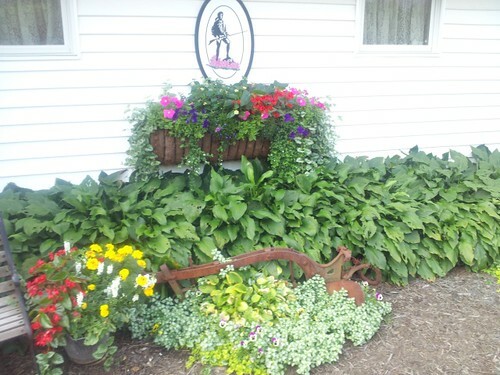 The beautiful flowers are welcoming and abundant. Not far away, towering at nearly 6,000 feet is Grandfather Mountain. It gets it’s name from what looks to be the facial profile of an old man. 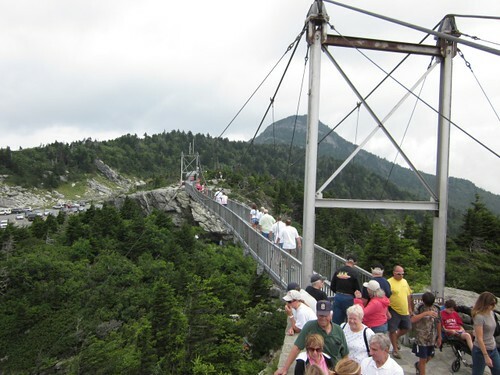 While entrance to the mountain is not free, the fee that is collected goes to a non-profit foundation that helps preserve the mountain and its facilities. We were pleased with the audio CD that was included with our admission. It gives you a self-guided tour of the mountain. 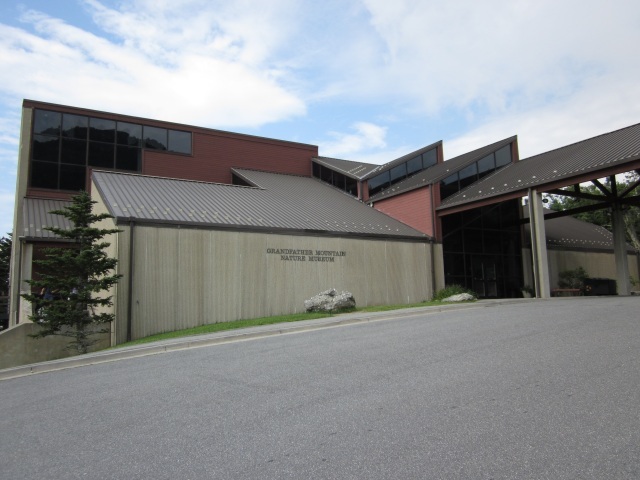 One of the facilities on the mountain is the Nature Museum. It has over two dozen exhibits that educate visitors to the history of the mountain and the surrounding area. Also in the building is a gift shop and a snack bar. 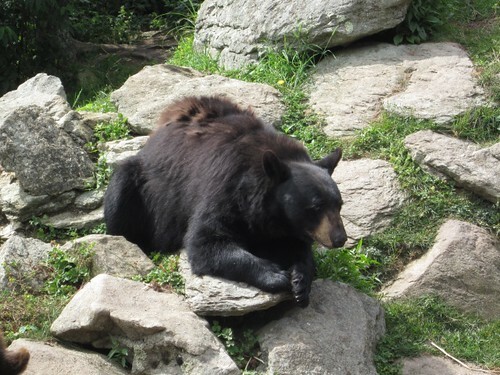 Next to the Nature Museum are the wildlife habitats in natural settings along a paved walking trail. The exhibits include eagles, cougars, deer, and river otters. 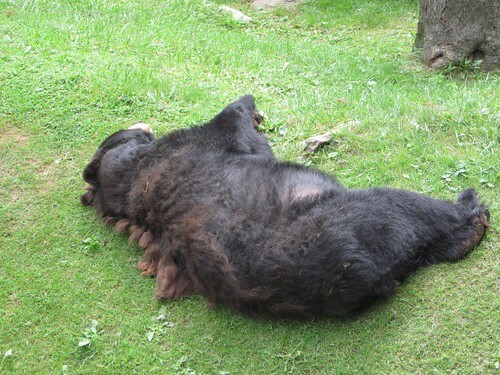 They also include bears. Watching the bears was the highlight of our trip. 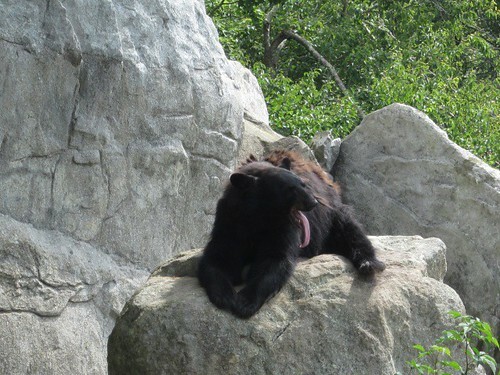 This bear has a tongue that would make Gene Simmons jealous. This one appeared to be recovering from a long night of whatever bears do at night. 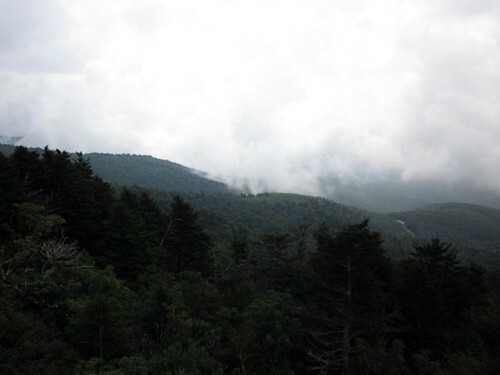 The views of the surrounding areas are remarkable from the various observation areas throughout the mountain. At the top of the paved road is a parking lot and a walking path that takes you to the famous Mile High Swinging Bridge. 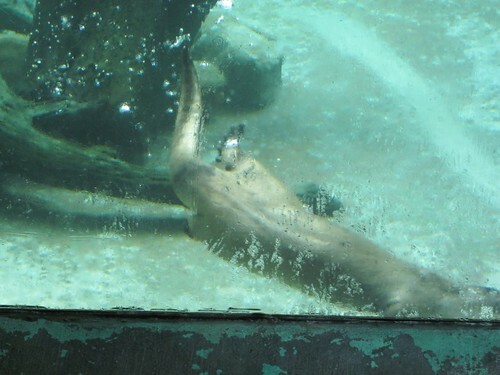 As you can see, the crowds can be heavy at times. We got a later start and had to deal with some crowds and it was only getting busier as we were leaving. 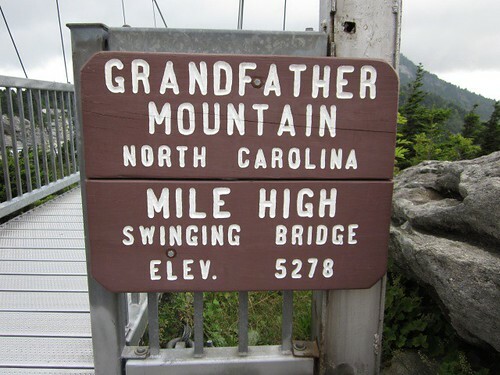 Did I say Mile High Swinging Bridge? Perhaps they should rename it to Almost Mile High Swinging Bridge. The views from the rocks at the far side of the bridge are remarkable. Fortunately it was a relatively clear day which gave us great views. At heights like this, the clouds and mist can come in quickly. 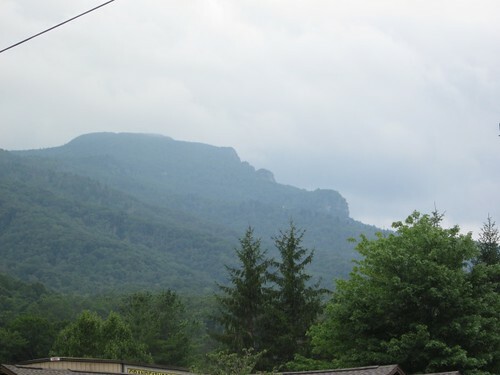 Yes there is a Grandmother Mountain. 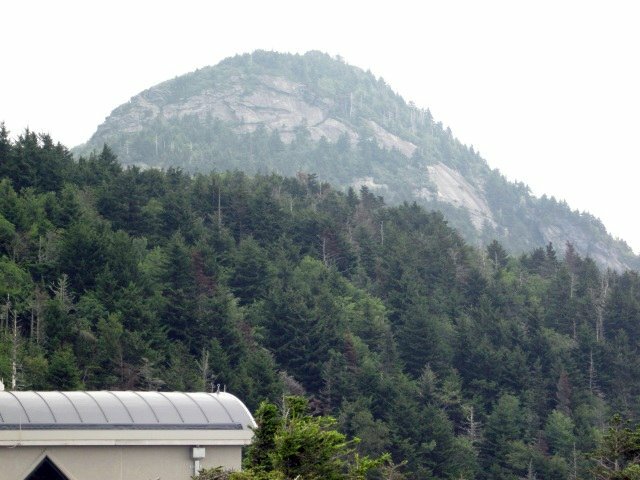 This is the actual peak of Grandfather Mountain. 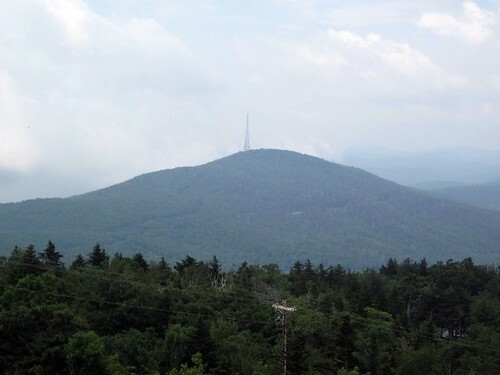 I look forward to returning so I can hike to the top of it. 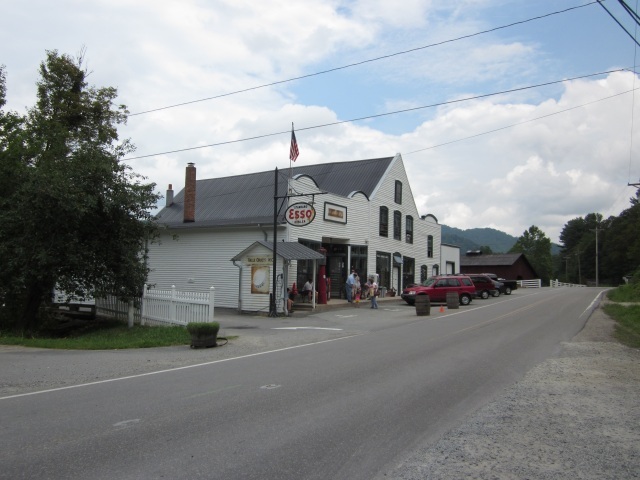 On the way back to Boone, a side trip to Valle Crucis is well worth the time. 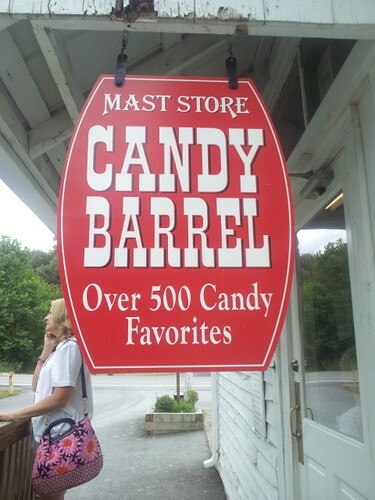 Not only is this a beautiful rural community, it is also home to the original Mast General Store that has been there since 1883. 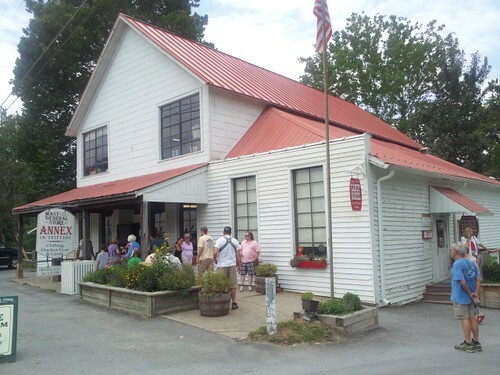 Not far down the road is the Mast General Store Annex. In addition to providing additional clothing and other items to what is available in the original store, my favorite part is the candy store with a huge selection of candy, many of which I haven’t seen anywhere else in a long time. 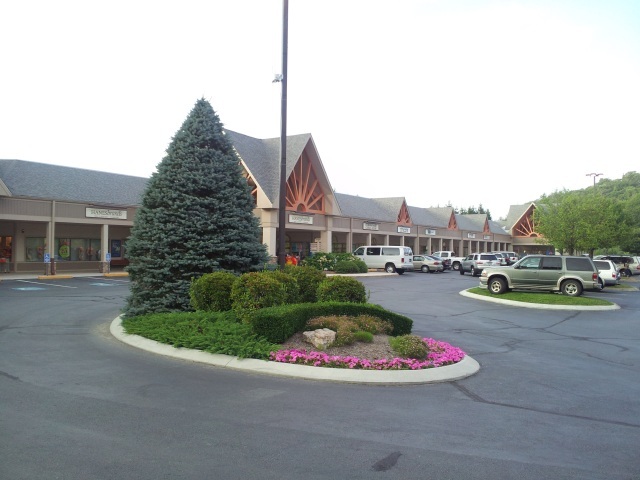 If you like shopping, you can find some in nearby Blowing Rock at the Tanger Outlets. 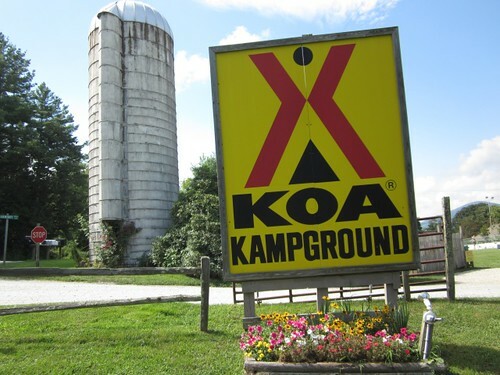 Back at the KOA you can visit and feed the animals. 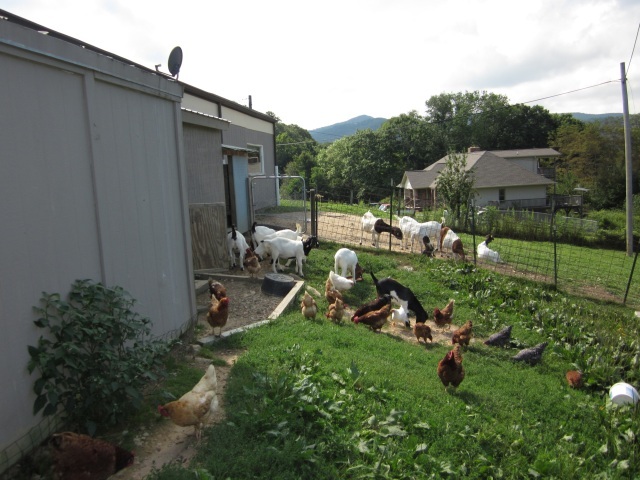 There are many other things to do in the area in addition to what we did this trip. We’ll be sure to cover more of them in our next trip. Tagged Boone, Dan'l Boone Inn, Grandfather Mountain, KOA, NC.